Host your next Birthday Party with class and style. Contact us to meet with one of our party planning managers, and take a tour of all of our beautiful halls. Ranging from the Lux room which can hold up to 200 people, to the Hamilton room with can hold up to 380 people. We will discuss with you all of your custom requirements. Planning at the last minute? Don’t worry, we have you covered, we are fully equipped to get the ball rolling on a party as soon as possible, no matter how last minute it is. At Antun’s by Minar, we have over thirty years of experience planning the most extravagant and incredible parties and events. Make the birthday you are planning an unforgettable one for you and your guests. Wow everyone at the event when they step into our venue and walk up our dramatic lobby staircase. We have menu options to suit all of your culinary needs, including delectable choices from South Asian, Spanish and Italian cuisines. 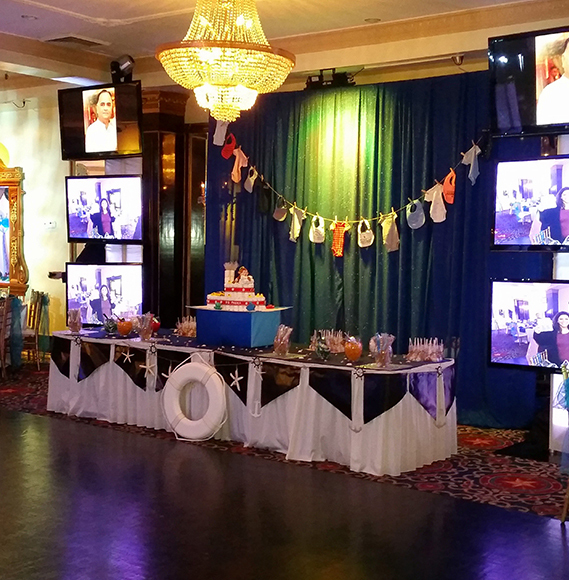 Contact us to learn more about how you can make your next birthday party one for the ages.